A new ‘D.B. Cooper’ suspect? Yet another possible identity for elusive hijacker. The quest to reveal the identity of “D.B. Cooper” — the alias of the daredevil who hijacked a Northwest Orient flight from Portland to Seattle in 1971 and parachuted out of the plane with $200,000 — has come up empty for almost 50 years. 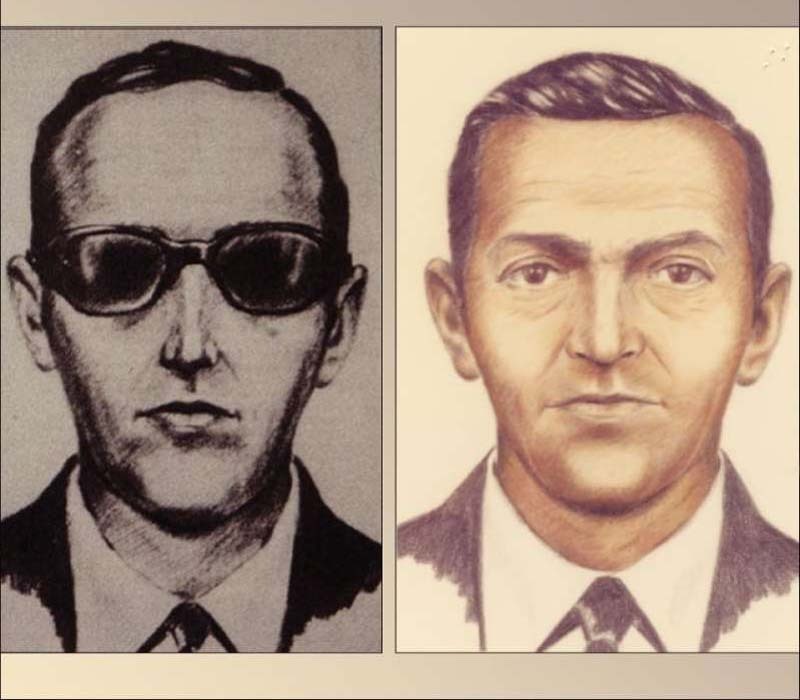 But the mystery of the only unsolved hijacking in U.S. history has fueled a cottage industry of authors, documentary makers and self-appointed sleuths who believe they’ve done what the FBI could not. Or at least want to make some money claiming they have. On Thursday, a whole new theory emerged from Carl Laurin, an 84-year-old pet sitter who lives in DeLand, Fla. Laurin, his Michigan publishing firm announced at a news conference, has written a memoir detailing the confessions of a longtime friend who supposedly committed the crime: Walter R. Reca, a former military paratrooper and intelligence operative. One problem: Reca, who lived in Oscoda, Mich., died in 2014 at the age of 80. A second problem: the FBI closed its D.B. Cooper investigation in 2016. A third: Laurin and his publisher, Principia Media, never vetted their theories with the FBI. And a fourth issue: the FBI said it would reopen the case only if someone found any items related to the hijacker’s parachutes or money, neither of which Laurin could dig up. Vern Jones, the publisher of Principia Media, said he was skeptical about pursuing a Cooper lead and didn’t want to fall into a conspiracy theory trap. He said his group hired a Michigan state police officer who led the investigation into Jimmy Hoffa to help vet Reca’s story. Laurin, who owns a pet sitting business, was not immediately available Thursday for an interview. Two years ago, the big name to surface as the latest Cooper suspect was Robert “Bob” W. Rackstraw, a Vietnam War veteran who lives in Southern California. Rackstraw, now in his 70s, has always been coy with the media about whether he was Cooper but his attorney told the Post two years ago that his client was not. The FBI had long ago dismissed Rackstraw as a suspect, but a Los Angeles-based television and film producer, Tom Colbert, latched on to him and came to believe he was the bona fide skyjacker. He approached Rackstraw multiple times and urged him to sign away his life rights so Colbert could write a book or movie and that they’d share the profits. The History Channel even aired a two-part documentary chronicling Colbert’s quest, but ended the series without concluding Rackstraw was really Cooper. Walter Reca, who died in 2014 at the age of 80, is the latest in a long line of “D.B. Cooper”suspects. (Principia Media.) In the case of Walter Reca, the self-appointed sleuths relied heavily on his taped confessions that he gave to his good friend, Laurin, in the years preceding his death. Reca gave Laurin his story under the proviso that he could not air the evidence until after his death, to according to Jones, the publisher of Principia Media. The two men, who both served in the military, had met back in the 1950s as skydivers, Jones said, and remained in touch over the last several decades. From the moment Laurin learned of the hijacking in 1971, he and several of his friends instantly wondered whether it was their friend intrepid friend Reca, who they said had a penchant for breaking the law. Once, Jones said, Reca tried to rob a Big Boy restaurant. Later, Jones said, Reca went on to work as “an intelligence operative” and traveled frequently across the globe, but was never specific about which agency. After years of cajoling and jesting about the Cooper case, Reca finally confessed to Laurin about ten years ago that he was the infamous skyjacker, Jones said. By late 2015 — a year after Reca’s death — Laurin told his niece about his friend’s Cooper confession. The niece, Lisa McNeilley, happens to work as a contract editor for Principia Media, and she pitched the book to her employer. Soon, the company inked a deal with Laurin. U.S. - U.S. Daily News: A new ‘D.B. Cooper’ suspect? Yet another possible identity for elusive hijacker.